When most people hear the word spirulina, the first thing that comes to mind is chlorophyll, because of its blue-green color. Don’t be turned off by the color, spirulina has great health benefits internally and externally. Spirulina has detoxifying, calming properties that are beneficial for skin health. It also has essential amino acids (10 out of 12), vitamins and minerals which makes it great for all skin types. Spirulina can also be taken as a supplement. 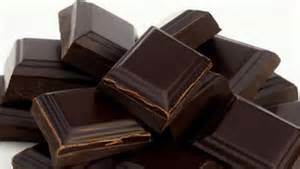 It has beta carotene (Vitamin A), superoxide dismutase and gamma linolenic acid, all of which act as antioxidants to protect the skin from free radicals and premature fine lines and wrinkles. I have spirulina in my “green” drink every morning. Add spirulina to your next smoothie, facial mask or cleanse. Fedotova, E. (February, 2016). Les Nouvelles Esthetique & Spa, “Spirulina in the spa”, pp. 106-109. Want a burger with your spa treatment? There are spas around the world that offer beer, wine, cheese and crudités with a treatment. How about adding a BK Whopper, fries and a drink! Burger King has opened the world’s first BK spa. It is located on the ground floor of the Mannerheimintie branch of Burger King in Helsinki, Finland. The spa contains a sauna that seats 15 and equipped with a 48” television where you can watch movies or use the television for PowerPoint presentations. The towels all have the Burger King logo. Next to the sauna the spa has a media lounge which has a 55” giant screen and PlayStation 4. When you arrive, you place your order for your meal. You can enjoy your meal while sweating and cleaning out your pores. Wouldn’t your sweat smell like beef? What about sharing a meal while in the buff with someone sitting next to you? I’m not sure how appetizing that would be. If you want to book a day at the Burger King spa it might cost you $250 Euros ($283 in US currency. Is this a fad or a trend that may last a while? You decide. To read more on this topic, click on the following link. We have heard of everything from donkey’s milk, ingestible collagen, injecting Botox in unnatural places and now cactus is finding a place in the cosmetic industry. To be more precise, derivatives of prickly pear cactus is being sourced from Mexico and China for the beauty industry. China is the leader to-date in processing the cacti for the beauty industry, but Mexico is right on its heels with 410 varieties of cactus from 23 unique species and may have stiff competition from Brazil. On the market already are products formulated with cactus oil and may be identified on ingredient labels as: Barbary fig seed oil, Indian fig seed oil or prickly cactus seed oil. A company in France is already marketing serums for mature skin with prickly pear seed oil and plans to expand the use by including it in clay masks and hand creme. Prickly pear seed oil is reported to have an excellent source of essential fatty acids naturally found in the skin, Vitamin E, Vitamin K and amino acids. In 2015 a writer for Elle magazine reported that prickly pear seed oil is comparable to Argan oil, but better. Prickly pear seed oil can also be found in the U.S. in products by Sia Botanics (cleansers) and G.M. Collins (hair care products marketed as “MyChelle”). There are always new trends and/or gimmicks in the skin care industry to help you part with your hard-earned cash. Some of the more recent ones include 14K gold facials, caviar facials, bathing in wine or the most gross yet, putting your feet in a pool of water and letting a certain fish nibble away the dead skin. Well another new trend or gimmick is taking a bath in a tub filled with hot beer and enjoying a glass, mug or stein at the same time! Hop in the Spa in Sisters, Oregon is the first beer spa in the U.S. Not surprising since Oregon is now exploding on the scene with breweries like Rogue, Deschutes and Widmer. Mike Boyle, the owner of Hop in the Spa, decided to add this treatment to his spa after getting a brochure from a friend who visited one while traveling in Prague. Boyle visited several hops farms across the Northwest to learn more about the medicinal properties of the plant. He started experimenting with bath brews incorporating hops, essential oils and minerals. Hops in the Spa opened March 1st. Boyle uses Cascade hops and is looking at adding three other varieties of hops that are exclusively used by Deschutes. The treatment includes soaking in a cedar-lined tub filled with the brew, essential oils and additional whole hops and trace minerals. Customers soak for 25 minutes and have a massage with hop oil. Treatments cost – 1-hour soak at $75/per person to $295 for a couple (includes choice of drink and appetizers). The owner did not want to elaborate on the benefits of soaking in the hot brew mixture or make any claims until he had spoken with the medical community. I always thought that it is not best to eat or drink while soaking in hot water (or brew as in this case). Alcohol robs the body of hydration internally. According to Organic Facts, the therapeutic properties of hop essential oil are beneficial for the following: insomnia, menstrual cramps, congestion, hair, psoriasis, headache and mood swings. However, hop essential oil is very potent and can acerbate mood swings and can cause skin sensitivity. Would you rather drink an ice cold brew or bathe in hot beer, you choose! Coenzyme Q10, Ubiquinol, Ubiquinone or Idebenone – Which is it? Have no fear, they are all the same. Coenzyme Q10 or Co-Q10 is an antioxidant naturally produced in the body. Doctors have patients take Co-Q10 as a supplement as an antioxidant and for heart health. Again it matches my philosophy, if it is good internally, why not use it topically. Cosmetically, Co-Q10 may be identified as Ubiquinol, Ubiquinone or Idebenone on the label. This powerful antioxidant helps to fight free radicals, inflammation and oxidative stress which are major factors in causing the skin to age. The body’s ability to convert Co-Q10 to Ubiquinol in the skin diminishes quickly after the age of 40. Age 40 is about the time fine lines and wrinkles begin to appear due to loss of collagen and elastin and for women a decrease in estrogen and progesterone. When shopping for products with Ubiquinol, Ubiquinone or Idebenone, make sure the product also has Vitamins C & E. These vitamins help to make the product more effective. Waldron, C. (January 2016). Les Nouvelles Esthetiques & Spa, “Spotlight on ubiquinol”, pp. 16-17. My philosophy is if certain foods are healthy for you internally, why not use them topically on the skin. Avocado is a fruit (not a vegetable) that is good for heart health, but also great for the skin, especially during the winter. Avocados consist of the following fatty acids: 71% monosaturates, 13% polyunsaturates and 16% saturates. These fatty acids along with Omega 3 fatty acids help to protect and moisturize the skin inside out by absorbing fat-soluble Vitamins A, D, E and K. Vitamin E helps to heal the skin, but Vitamin D is especially important because we have less absorption of natural Vitamin D from the sun during winter months. So the next time you make guacamole, save some avocado for at-home facial treatments. It can be used by itself, but works best when mixed with honey and plain yogurt (1T plain yogurt, 1t honey and ¼ avocado). Blend ingredients together and apply mask to the face. Let stand for 15-20 minutes, rinse off with warm water and moisturize. Avocado will act as a powerful antioxidant and moisturizer, the honey will serve as a humectant to pull moisture into skin tissue as well as act as a natural antibacterial agent. The yogurt will help with cellular turnover. Yogurt, after all is a dairy product that contains lactic acid. This will help to minimize dead surface cell buildup on the skin and will be like having a natural chemical peel. This mask can be used as often as needed. When you hear or see this jingle, the first thing that comes to mind is Chia Pet! Well chia seeds are the rave today. This tiny seed has nutritional benefits not only internally, but is also great for the skin. The chia plant (Salvia hispanica L.) is a member of the mint family and comes from the Mayan word for “strength”. The plant is native to southern Mexico and northern Guatemala where it was historically used as food by Aztecs and Mayans. Skin care companies are now incorporating chia seeds (ground and oil) in their products. 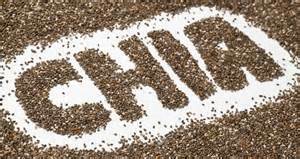 Chia seeds have up to 39% high oil content (Omega-3 fatty acids). The fatty acids help to nourish and calm the skin and have higher antioxidant properties than blueberries. For skin care treatments, ground seeds and oil can be applied directly to the face and body to restore dry patches and seal in moisture. Chia oil is gelatinous (similar to aloe vera gel) and helps to hydrate, calm, rejuvenate and diminish the appearance of wrinkles (Fedotova, 2015). Chia powder and oil can be used to make masques, body scrubs; be used as an exfoliants or aromatic oil. When shopping for chia seeds and oil, be sure to use a reputable source. Chia seeds have been found to contain Salmonella which has caused the U.S. and Canada to recall products made with chia seed power. There are no reports to date on whether the product causes skin reactions when applied topically. Fedotova, E. (2015). Les Nouvelle Esthetiques & Spa, “Cha-Cha Chia!”. Retrieved June, 3, 2015, p. 98-101. “Super Seed.” (2015). DaySpa, retrieved June 10, 2015, p. 68. When cooking, dining out or grocery shopping, do you ever wonder where your food comes from, where certain ingredients are processed, who processed it and how it was distributed? With the rise in foodborne outbreaks, this is a topic that should concern everyone. Global Food Traceability Center is a company that is trying to keep track of where food comes from. In a recent report of food traceability practices of 21 OECD countries, the only area in the world where countries were found to have “Superior” food traceability practices was the European Union. The U.S., Canada and Japan were ranked as “Average” (Brones, 2014). The U.S. is supposed to have some of the best health practices, so why are they ranked “Average”? The European Union has an interactive website that explains food traceability to consumers. 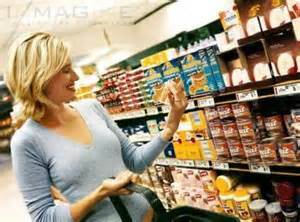 U.S. consumers are kept in the dark about food traceability, especially concerning GMO ingredients. The U.S. is one of two major beef producing countries and we do not have a national cattle identification or traceability system. China, however, is ranked as “Poor” when it comes to identifying beef products. With the spread of Ebola, mad cow disease, salmonella, listeria and other diseases, it is imperative that food traceability become the norm for the government and food industry because food can come from anywhere on the planet. GMO Fruit! – What’s next? Natural News recently released an article stating that the government has just approved the release of genetically modified apples by the USDA. GMO apples have been developed by the Okanagan Specialty Fruits Company, located in Canada who also plans to introduce GMO peaches, cherries and pears. 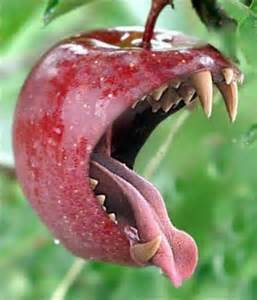 GMO apples suppress the polyphenol oxidase (PPO) gene that keeps it from turning brown once sliced. By suppressing the gene, it also strips the apple of many of its health-promoting benefits. The apple would still look the same, but the benefits we get from the fruit will be lacking. I don’t know about you, but I eat fruit daily and I prefer it to be from Mother Nature than from a laboratory!